Venn diagram is one of the most misunderstood charts there is. But you have to admit that if Word and PowerPoint offer them as part of their “smart tools”, the charts must be good for something. And they are! Venn diagrams can prove to be very useful conceptual tools, helping to compare and contrast ideas and concepts, where showing an overlap is more important than getting into the specifics. If you’re struggling to see its potential, let’s look at some pointers about how you can tame it. A Venn diagram is a type of chart used to visualise the overlap between two or more datasets. It typically uses circles or ellipsis to illustrate relationships between segments, graphically highlighting how they are similar to or different from each other. What is the Venn diagram used for? Venn diagrams are widely used in many disciplines, most notably in mathematics, statistics, logic, teaching, linguistics, computer science and business. They are particularly effective at organising and visualising datasets, making the relationship easier to understand. Because of its powerful visual effect, the Venn diagram is a popular choice for business reports and presentations. It can work wonders on provoking new ideas and discussions, which is another reason why business people are attracted to it. Visually organise information to quickly grasp the relationship between datasets and identify differences or commonalities. Compare and contrast two or more choices to identify the overlapping elements and clearly see how they fare against each other. It’s useful when you’re trying to make an important decision, such as making an investment or buying a new product or service. Find correlations and predict probabilities when comparing datasets. Venn diagram helps to bring data together in a visual way, allowing to analyse findings more efficiently and identify all possible logical relationships between a collection of sets. Using data shared by a recruitment agency, we've built an interactive Venn diagram to visualise the skillset of the candidate pool. In just a few clicks, you can get a general overview of all the skills and an accurate idea of which skills are plentiful and which are rarer, making those candidates more "sellable". 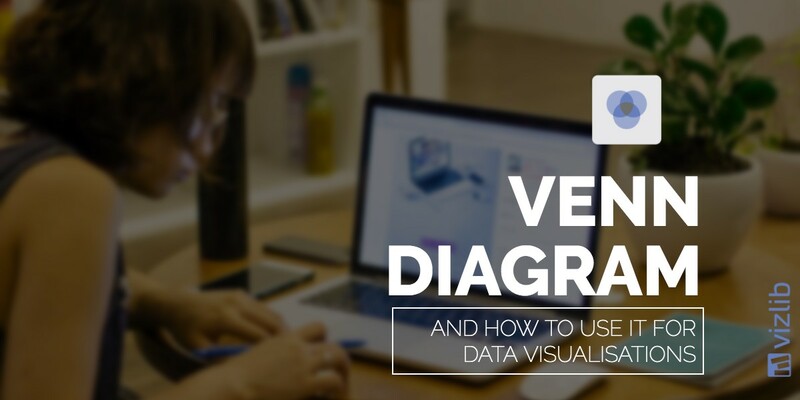 The interactivity factor is what makes the Vizlib Venn diagram even better -- it gives users the ability to interact with data and navigate the chart for deeper insights. Inaccuracy. Despite all its advantages, the Venn diagram also has some noteworthy limitations. One of the main problems is that Venn diagrams can be somewhat inaccurate. The thing is, once three (or more) circles are used, it becomes nearly impossible to keep all the pieces in proportion. This means that some of the intersections require squishing to bring other pieces closer to their true values, meaning the diagram ends up more as an approximation than an exact depiction of datasets. Appropriate shape. Another point to note is that circles are not the right shapes for Venn diagrams that aim to visualise four or more datasets. It’s due to the fact that it is impossible to create a Venn diagram with circles to represent all the possible intersections of four (or more) sets because two circles intersect in at most two points and each intersection creates one new region. Meaning you end up visualising only 14 out of the possible 16 relationships. The best way to overcome this issue is by using ellipsis instead of circles. How was the Venn Diagram invented? Although the Venn diagram is named after British logician John Venn, its roots go back much further. John Venn is credited with popularising the diagram, not actually inventing it. He wrote about the diagrams in his 1880 paper titled “On the Diagrammatic and Mechanical Representation of Propositions and Reasonings” in the Philosophical Magazine and Journal of Science. The earliest mention of a similar type of diagram can be traced to philosopher and logician Ramon Llull of Majorca who wrote about it in 1200’s. A Euler Diagram, invented by Swiss mathematician Leonard Euler in the 1700’s, is the closest variation of the Venn Diagram. The difference between the two is that Euler diagrams omit sets if no items exist in them, whereas Venn diagrams show relationships even if a set is empty. The Vizlib Venn Diagram is highly customisable and extremely easy to use. With the drag and drop functionality, you can create visual representations of interrelations of data in just a few clicks. It graphically displays logical attributes as circles, with the common elements of the attributes represented by the intersections of the circles. The circle size, position, and intersections are driven by the elements that may own one or more of the available attributes.